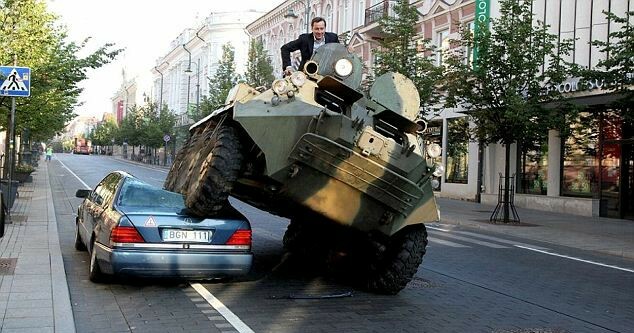 This stunt was filmed back in 2011 to warn owners of luxury cars to desist from parking on bicycle lanes or have their cars crushed with a Russian 8-wheeled BTR-60 vehicle. During the time of the Mayor of Vilnius in office , which is equivalent to a local government chairman in Nigeria, he urged locals to take up cycling by introducing various bicycle schemes and cycle lanes in his time in office. “What should the city do about drivers who seem to think they’re above the law? “I wanted to send a clear message that people with big and expensive cars can’t park wherever they feel like and ignore the rights of pedestrians and bike riders. 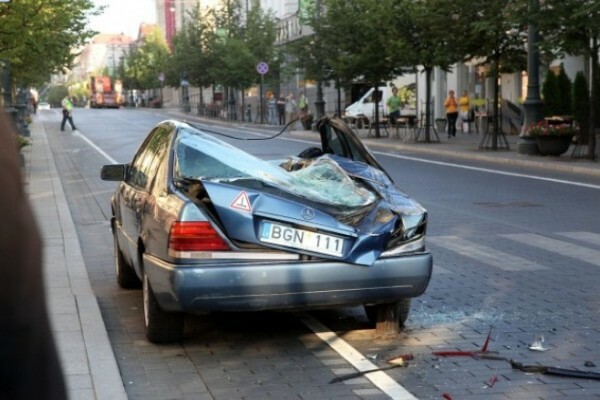 The crushed Mercedes-Benz was actually brought in for the stunt and not for the Benz owner in the clip.